Video stores are a dying breed, but a small rental shop that's the last of its kind in the Comox Valley isn't shutting down because of a lack of clientele. The Gone Hollywood video store in Comox is set to close its doors at the end of August – the final act of a store that opened 11 years ago. Owner Kevin Dol says while online streaming services like Netflix have played a role in the decline of renters, he'd keep the store open if he could. 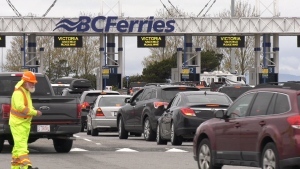 "It's just one of those things that we said we'd stay open forever until the card was dealt that we just couldn't continue," said Dol. "Our main movie supplier closed up most of their warehouses across Canada with one left in Ontario. Only about two employees left there and just not really the big supply that we used to be able to get." Dol says he even subscribed to Netflix, but like many others, he spent more time trying to find movies then actually watching them. His customers agree and say they're sad to see an end to the video store dynasty. "I guess the way technology's going, it's going to unfortunately be a thing of the past," said one customer at the store Tuesday. The toughest part of closing up shop will be saying goodbye to staff and dedicated customers, Dol said. "When you're closing and you have all of these people coming in and buying movies, it's kind of like, well obviously it's not a dead thing because nobody would buy it if that was the case," he said. "So the demand for physical product is still there." In an age of on-demand, Dol says customers will be losing out on access to a wealth of movie knowledge. "We got to know everybody and what they liked and didn't like, and direct them to a certain title, and they'd just keep coming back every week," he said. It's not just smaller rental stores like Gone Hollywood that have gone the way of the dodo. Following a recent Blockbuster closure in Alaska, the last known North American outlet for the once-massive video giant is now in Bend, Oregon. 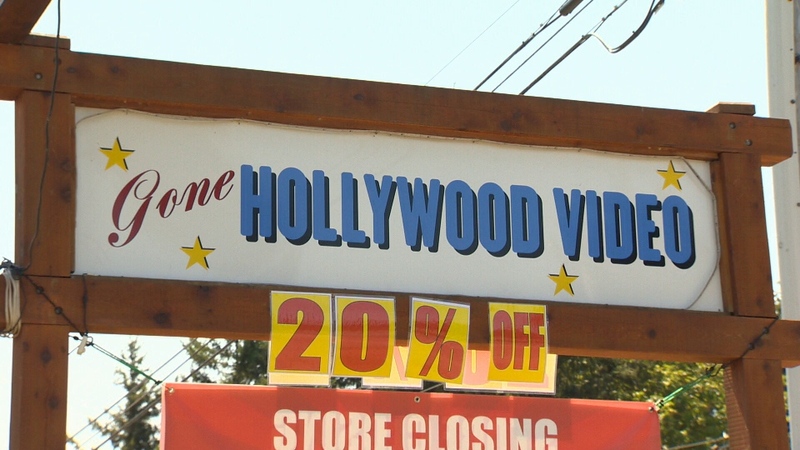 Gone Hollywood in Comox is set to close Aug. 27, if supplies last that long. Blockbusters in Alaska set to close; 1 store left in U.S.